Emily grew up on a farm in Western Massachusetts where she was blessed with parents who provided her with lots of opportunities to grow and explore. Her mother Erin, dedicated all her time to ensuring that her kids experienced everything, and Emily did. She won numerous medals in New England dancing competitively; in 1999, as a catcher, she was the first girl to open the doors for other females to join in the Red Sox summer training camp; she held lead rolls in theater productions such as Lend me a Tenor and Spring Awakening; and was a member of the UMass Minuteman Marching Band where she performed alto saxophone with the Boston Pops. With prowess in sports and the arts, Emily spent the beginning of her adult life studying oil painting and received the accolade of an art residency at Le Château de La Napoule through the La Napoule Art Foundation of France. She later went on to graduate from Columbia University, and built a career in policymaking, focusing her work on creative governance structures for educational transformation. Her research in this field culminated in a book that was commissioned and published by Harvard Education Press and adds to the field of education and organizational psychology. Setting her policymaking work aside, she decided to fully commit herself to her own transformation and deepen her practice of yoga. With the support of her husband Harmeet, she has completed many trips to India to study Ashtanga yoga under Saraswathi Jois—the daughter of the late master teacher Sri K Pattabhi Jois. Recently, Emily had the honor of hosting Saraswathi Ji in Boston and was one of three students to support her on her US tour. With asana practice being only one part of yoga philosophy, Emily works to understand and practice yoga as described in the traditional vedic texts. Her studies are deepened by her Indian teachers for whom she owes sincere gratitude. She practices Sanskrit and chanting with Lakshmisha Bhat at the KPJAY Shala; traditional devotional music with Ranjini Koushik; and Ayurveda with Padmini Ranganathan. With a foundation in Indian culture and dedication to the continual practice of yoga, Emily and her husband Harmeet moved to Vermont to establish Sētu—a destination meant to promote the tradition of Indian yoga in a serene environment. She is supported by the love and generosity of her husband, her family, as well as her father Robert who has dedicated time to developing ecological programming at Sētu. Harmeet was born and raised in India where he experienced the culture that yoga flourishes within, from a mother who cooked using Ayurvedic principals, to a father who took a disciplined and devotional approach to physical asana practice; and from studying the spiritual texts to learning verses and mantras. At the age of 18, a more serious practice of asana began as a means to solve for a lower back problem. At the time, bare-floor practice was how things were done, no engineered Manduka mats cushioning his jump backs. He started practicing at a local shala with a master teacher who had little time for frills. Upon arrival, he saw students being yelled at and poked and prodded with a stick that appeared to be the teachers best friend. The teacher asked him only one question upon accepting him as a student, he asked, “have you arrived”. Harmeet responded confused, “yes”. The teacher then repeated that mantra four more times, with Harmeet becoming increasingly confused. After a sufficient number of responses, he proceeded to teach Harmeet a series of asanas, allowing him to practice on his own after a few attempts. Harmeet, thinking he was progressing along was feeling happy about his practice, but was soon caught distracted. The medicine for this type of distraction was…a sharp stick poke in the side, followed by the question, “You told me you arrived in body and mind. 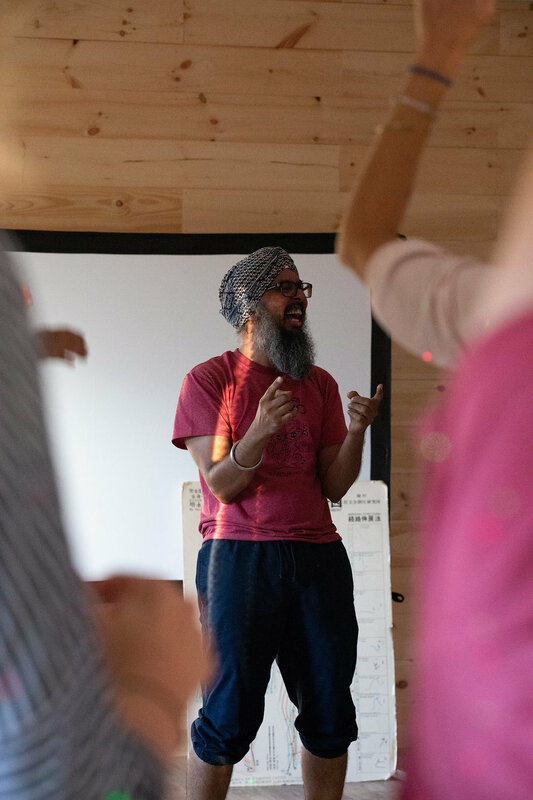 So, why did you leave?” This story resonated with Harmeet and he has aimed to create presence and a focusing inward in all that he does. In his current work, Harmeet is a Director of Innovation and teaches creative thinking to many technically oriented professionals in the software industry. The ideas fostered through his work have become product offerings with top-tiered tech giants. Through Setu Harmeet looks to promote laughter and North Indian dancing, in conjunction with meditation through different modalities. Harmeet also practices Ashtanga Yoga, a student of Saraswathi Jois, and Vipasana Meditation. He is an avid carpenter and loves to learn through doing. Rob is a plant and soil scientist by training and the owner of Stony Hill Farms. He specializes is arboriculture, plant pathology, and sustainable lawn care. 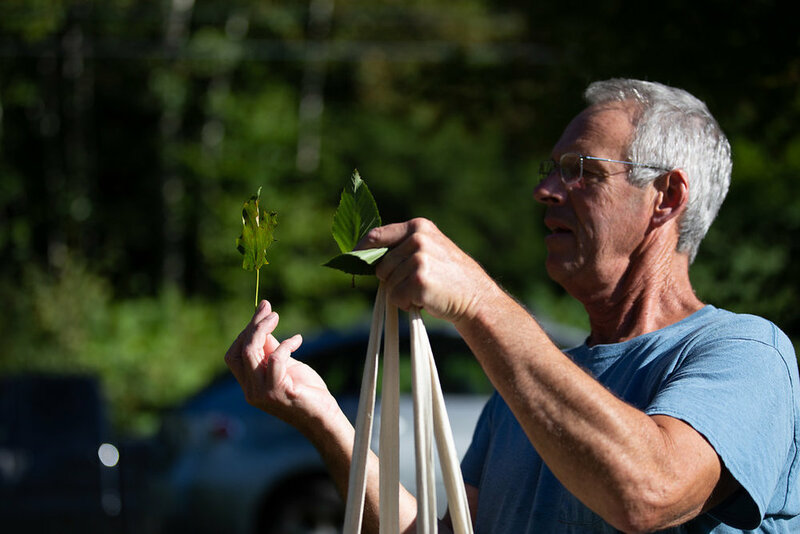 Across his career he has developed a disease resistant, low-spray apple orchard and Christmas Tree Farm, and designed and implemented numerous low-input, sustainable lawn care models for clients throughout New England. Emma is Setu’s Business Development Intern, and is also a gifted photographer and student of business. Her photography credits include a solo show at C.X. Silver Gallery, Brattleboro, Vermont in June-July 2018 and Best of Show, Photography, 2016 Brattleboro Student Show. Pursuing an associate’s degree in business at Greenfield Community College, Emma is building her own photography and marketing business. As the Business Development Intern for Setu, Emma is assisting to develop and implement a marketing strategy; researching regulation and licensing; and developing work plans for various areas of the new yoga & retreat center. Our tiny house builders, Jason and Blair Clark, started in the tiny house movement when they moved into their own 100sq ft tiny home and saw the benefits of tiny living for a larger life. They founded Yellow Compass Creations to build unique tiny homes for others. From tree houses to trolleys, vintage school buses or a custom built A-frame inspired birdhouse built for a yogi, Yellow Compass Creations specializes in dwellings for the inspired and unique adventurer.